Hey y’all! My name is Cait and I’ll be a senior at Wake Forest next fall. 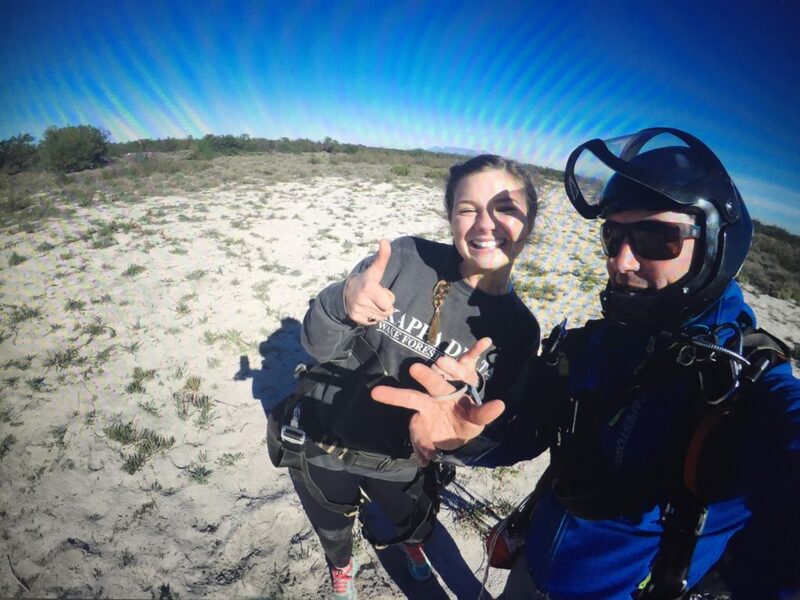 Long story short – I decided to stay in Winston Salem when most of my class was abroad last fall, so when I had the opportunity to go to South Africa with LeadAbroad, I jumped on it. It’s so easy for older students to get caught up in things like summer internships, grad school, social life, etcetera. I knew that when I came to South Africa, I wanted to put all of those things aside and focus on having an amazing adventure. For me, situations that force me to step out of my comfort zone are the ones I never forget. So today, I stepped way out of my comfort zone and went skydiving! Though I was apprehensive about voluntarily falling out of a plane, I’m so happy that I momentarily ignored my fear of heights and small planes and just went for it. It reinforced my belief that stepping out of your comfort zone typically leads to great things. I’m so grateful for the opportunity to do these things in Cape Town, and it is definitely making for an unforgettable experience. My advice? Take chances and definitely skydive if you have the opportunity!